The holiday season is behind us and the New Year has begun, which means that another Toys for Toys campaign has come and gone. 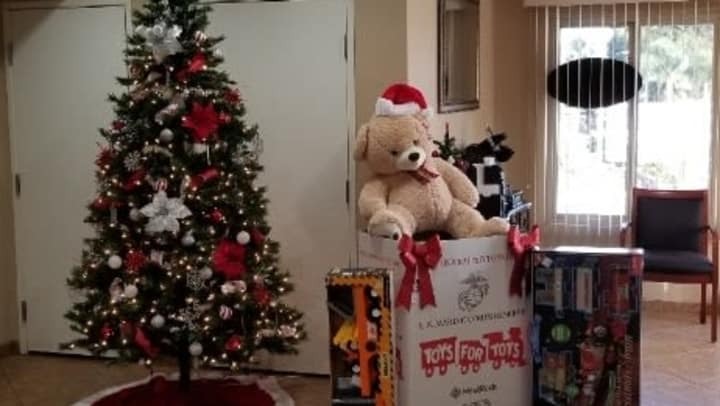 San Diego Self Storage has supported and sponsored Toys for Tots for over 20 years now! This wonderful organization is truly special to us, and we are proud to play our role. During the second half of November and the first half of December, we asked you to bring in new, unwrapped gifts so that less fortunate children could enjoy the magic of the holiday season. With your help we were able to surpass our goal and collect almost 19,000 toys across our 17 San Diego Self Storage locations. Thanks to all of your generosity and support, we received 2,000 more toys than last year's campaign. That means that we were able to impact that many more children's holiday season for the better. On behalf of everyone at San Diego Self Storage, thank you so much for supporting this special cause. We greatly appreciate your contributions and already can't wait for next year's campaign. How does a goal of collecting 20,000 toys sounds to you? We think it sounds doable! Butterfield Ranch Self Storage – Mike K.
Encinitas Self Storage - Mark S.
Golden Triangle Self Storage – Carole G.
Jamacha Point Self Storage – Tristan B.
Mira Mesa Self Storage – Margaret C.
National/54 Self Storage - Richard D.
North County Self Storage – Steven G.
Olivenhain Self Storage – John H.
Otay Mesa Self Storage – Ricardo E.
Smart Self Storage of Eastlake - Elmer M.
Otay Crossing Self Storage – Rosa Olivia B.
Poway Road Mini Storage – Barbara L.
Smart Self Storage of Solana Beach – Alexander C.
San Marcos Mini Storage – Chad B.
Sorrento Mesa Self Storage – Louis L.
Sorrento Valley Self Storage – Al P.